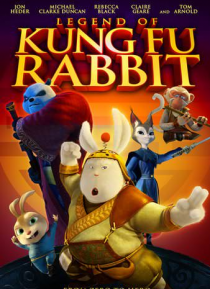 Fu, a dopey rabbit, is telepathically given the ultimate kung fu power after rescuing Shifu, a martial arts master, from a fatal attack with the promise that he, Fu, would return the martial arts academy tablet to his, Shifu's daughter, Penny. While on his journey to the academy thieves ambush Fu and unbeknownst to him he is rescued by Penny. As they become traveling companions they arrive at the … academy only to learn it has been taken over by the evil Slash.